On 25 October, the Academy for Young Scientists will include 8 new members for the period 2018-2022. 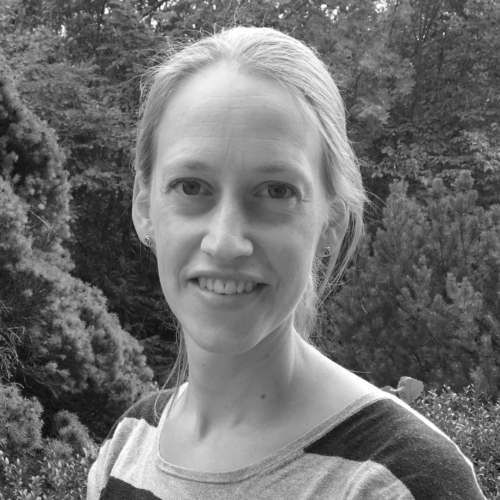 Among the carefully selected members is Helene Knævelsrud from Jorrit Enserink's group at the Department of Molecular Cell Biology. The Young Academy of Norway is open for talented, young researchers from all disciplines interested in working interdisciplinary and dedicating time to work with broader issues such as policy development and innovative research dissemination. Relevant candidates will have conducted independent research, gained a position within their discipline and be no older than 38 years old in the year of application. Equally importantly, the candidates must be interested in and have the possibility to invest time and energy into building the academy. Members are chosen after an application process involving a scientific review process followed by interviews. 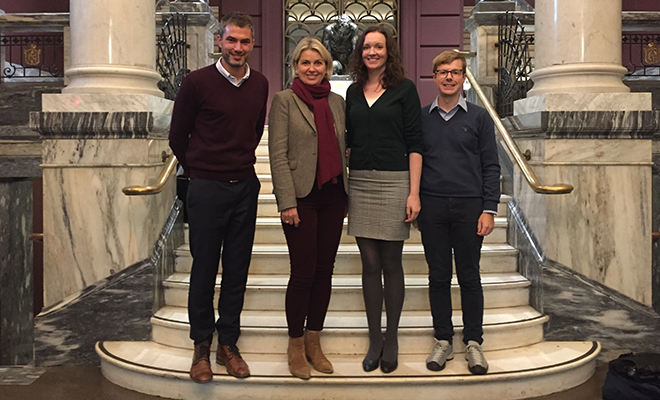 Members of the election committee: from left Kyrre Eeg Emblem - leader of the MRI in Clinical Cancer Therapy research group at OUS, Kristin Vinje, Marte Blikstad-Balas og Terje Lohndal. The first call for membership in The Young Academy of Norway was issued in the spring of 2015 and nearly 160 young researchers applied. Following a scientific review process and interviews 20 were offered membership. On 29 October 2015 the academy was founded by its first members. At present the Young Academy is funded by The Norwegian Academy of Science and Letters and the Ministry of Education and the secretariat is currently based at the Norwegian Academy of Science and Letters.